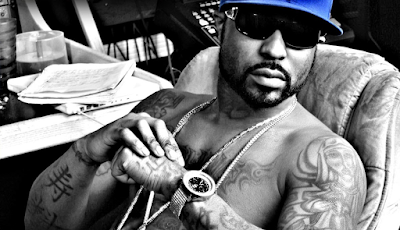 RAW HOLLYWOOD : YOUNG BUCK RELEASES NEW VIDEO TITLED "BACK TO THE OLD ME"
YOUNG BUCK RELEASES NEW VIDEO TITLED "BACK TO THE OLD ME"
Young Buck is back and according to him, he's going back to the old him, thus the song "Back to the Old Me". Buck released a few tracks last week to speak on the violence that has been happening between police and citizens, however, he is back to the old him with this new track. This video gave an old school G-Unit feel, however, it would have been nice to see 50 Cent or Lloyd Banks at least make a cameo in the video (50's Effen Vodka cameo at the end of the video doesn't count either). Surprisingly, this video provides lots of eye candy for the ladies with super buff men with their shirts off. Buck also dropped songs titled "Riot" and "The Get Back" last week so its clear that he is keeping busy. The rapper is also set to drop a mixtape called 10 Bodies next week which will be hosted by DJ Whoo Kid and DJ Drama. Check out the new video below and let us know if your feeling it!